The US helped Mossad assassinate a top Hezbollah figure in Syria in 2008 by lending bomb expertise and surveillance on the ground, Washington Post reported. The joint operation marked CIA’s post-9/11 drift toward modern-day drone killings. 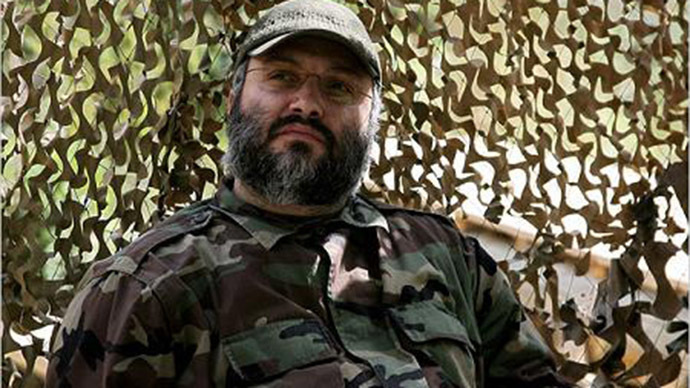 The death of Imad Mughniyah on February 2008 was initially pinned on the Israelis. Hezbollah’s international operations chief, he was suspected of having a hand in many terrorist attacks, including the 1992 bombing of the Israeli Embassy and the 1994 attack on a Jewish community center, both in Argentina. The suspicion that the CIA may have been involved in the assassination arose on several occasions. But now the newspaper Washington Post reports that this indeed was the case, citing five former US intelligence officials, who spoke on condition of anonymity. The US was instrumental in killing Mughniyah, who was among other things suspected of planning the 1983 bombing of the US Embassy in Beirut, the newspaper said. The CIA provided the bomb, which was planted in a spare tire on the Hezbollah official’s car. An American spotter team in Damascus tracked him down and gave a signal to Mossad agents in Tel Aviv that they could remotely trigger the explosive device. “The way it was set up, the US could object and call it off, but it could not execute,” a former US official told the Post. The bomb itself was reportedly built by Americans after a series of testing at a CIA facility in North Carolina. The charge was shaped to ensure that no collateral damage would happen – a pledge that the agency allegedly made to US lawmakers during a secret briefing in the lead-up to the operation. The newspaper calls the killing of Mughniyah the most high-risk action by US intelligence in recent years, after the assassination of Osama Bin Laden in Pakistan in 2011. It also marked a significant shift in how America targeted its enemies triggered by the September 2001 terrorist attacks. The Bush administration secured approval from the attorney general, the director of national intelligence, the national security adviser and the Office of Legal Counsel at the Justice Department to carry out the operation, one former official said. Getting them to sign off on it required a legal justification, which was that Mughniyah “was a continuing threat to Americans” due to his organizing of attacks against American troops by Iraqi militias. “The decision was we had to have absolute confirmation that it was self-defense,” the official told The Post. The assertion apparently was enough to override a Reagan-era prohibition on US intelligence agencies carrying out assassinations established by Executive Order 12333 and to team up with the Israelis to kill Mughniyah in the Syrian capital, far from any battlefield. The same reasoning was later used by Bush and Obama administrations to deliver hundreds of drone strikes in Afghanistan, Pakistan and Yemen and even kill American citizen Anwar al-Awlaki without a trial in 2011. The Post says that the US determination to kill Mughniyah was voiced to Israelis as early as in 2002. At a secret meeting with the chief of Israeli military intelligence service senior officials from US military’s elite Joint Special Operations Command (JSOC) suggested to discuss such an operation. “When we said we would be willing to explore opportunities to target him, they practically fell out of their chairs,” a former US official described the reaction of the Israelis to the suggestion. JSOC envisioned a commando raid rather than a clandestine bombing attack and wanted Israeli support for evacuation. Eventually the mission to kill Mughniyah became a long term CIA-Mossad effort with at least a year spent on studying the target’s habits to establish a plan for the attack. At one moment the team reportedly had a chance to kill both him and Qassem Soleimani, commander of Iran’s Quds Force, when they met in Damascus, but the Bush administration didn’t give the agents the authority to kill the Iranian. After the news of Mughniyah’s death broke, the US hailed it. “The world is a better place without this man in it. He was a coldblooded killer, a mass murderer and a terrorist responsible for countless innocent lives lost,” State Department spokesman Sean McCormack said at the time.